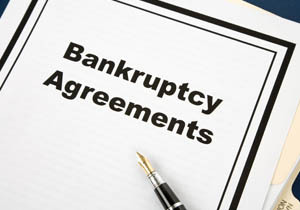 The decision of whether or not to file for bankruptcy can be extremely difficult. It may be the biggest financial decision you ever have to make. You may know you need help managing your finances or staying above water, but you might not be certain if bankruptcy is the right choice. When you need guidance and honest advice about bankruptcy and also want to know about bankruptcy alternatives, Attorney Kelley is happy to meet with you to discuss all of your options, so you can make an informed decision as to the best course of action for your particular situation. With more than 20 years of experience and a genuine concern for your financial future, Attorney Kelley will answer your questions and help you understand all of your options before you make a decision as to what step is right for you. The first thing you need to do before making any concrete decisions is to know exactly what your financial situation is. You will want to make a full list of your debts including, credit card debt, car loans, mortgage or rent payments, payday loans, personal loans, student loans, tax debt, unpaid utilities, and any other debts you owe. In certain situations, Attorney Kelley may advise you that negotiating directly with your creditors outside of bankruptcy may be the best option. When you have a debt management professional representing you, creditors will know you are serious about resolving your outstanding debts and may be more apt to work out an agreement. Attorney Kelley can also guide you toward credit counseling that can help and give you more information on other options, such as a loan modification to reduce your mortgage payments.